Sipsmith was started in 2009 by our founders Fairfax, Sam, and Jared with the mission to open the first copper distillery in London in almost 200 years and bring London Dry Gin back to its home; made the way it used to be and we think should be. Since then we’ve grown tremendously, acquiring new stills, recruiting new drinkers and building on our great team as well moving premises to a new site in Chiswick, West London. Moreover, we’ve recently joined forces with Beam Suntory – a company which values heritage, craftsmanship and people as much as we do – and the opportunities for our team and brand are now even more exciting. In addition, at Sipsmith we like to think we have created a great place to work where you can be creative, autonomous and have lots of fun at the same time. We believe that it’s our team here that drives our great culture that makes our business what it is (on top of our world class gin), so we work very hard to ensure that everyone in the business loves what they do and feels like part of the family. We are looking for someone with whom this resonates and will be a great addition to the team from the word ‘go’. Are you strong within sales? Do you use your initiative? Do you have great organisation skills and work efficiently with administration? Have you experience with contract negotiation and budget planning? Are you commercially minded? Are you creative and do you have a passion for Gin and the Drinks Industry? Are you gently persistent and resilient? Most importantly, do people enjoy a chat and Gin & Tonic with you? We are looking for someone with tons of energy, a can-do positive attitude, high standards and a passion for all things Sipsmith. Likewise, the candidate will be results-orientated with an ambitious attitude and be able to work tirelessly and efficiently to ensure targets are hit, with business profit as the priority. Professional, personable, presentable and fun — the bottom line is you will be a face for the first copper distillery in London for nearly 200 years. Actively generate new on trade business. Using the target account list and constantly adding to it, the On Trade Executive will act on new business opportunities, follow-up on key new customer leads and report weekly to the National Account Managers and Field Team Manager. The role will develop new and existing relationships, extend the Sipsmith portfolio listings and implement, run and follow up on support packages. This role will be expected to form great working relationships with regional wholesalers, providing them with support when required in the form of trainings, tastings, launches and POS for their customers. The On-Trade sales exec will ensure that the Company’s CRM software is regularly updated with customer information in line with the Company’s expectation. Accurate records will ensure an appropriate level of contact and communication with customers is maintained. 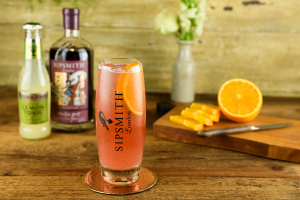 As a Sales Executive, the candidate will be required to talk confidently about Sipsmith and the category in front of large groups of current and potential Sipsmith customers and their teams, both at the distillery and at their respective accounts. The role will also include the need to organise and conduct regular sampling sessions in both the on and occasionally, off trade venues. – Clean driver’s licence – crisp and sparkly clean! Please send your CV to [email protected] with the subject title ‘On Trade South West UK Sales Exec’ and a cover letter explaining your experience and why you would be a good fit for Sipsmith.